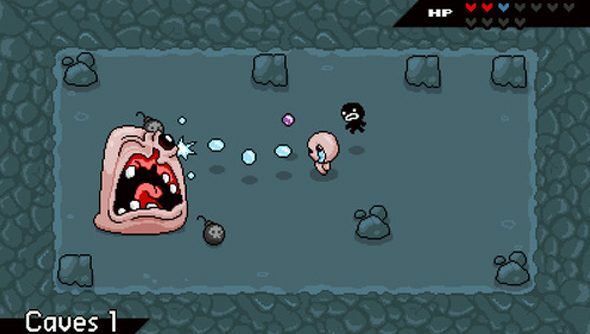 Binding of Isaac, the roguelike that won’t stop living, is getting another expansion for its remake, Rebirth, that adds more of – well, everything. For more gems of indie games on PC check these out. The Afterbirth+ DLC will cost $9.99 ordinarily but obviously that’ll be $6.66 in the week after its January 3 launch on Steam. In that devilish price you’ll find full access to mod tools, letting you mess with rooms and items and enemies, and playable characters and everything else in the game. The best mods will also find themselves being added to everyone else’s game in monthly content updates. The stuff you don’t make yourself includes 67 new items, 27 new trinkets and 10+ new pickups, with exact numbers provided so fans don’t get confused by accidental ARG bugs. more than four new bosses, new alt forms for existing bosses, a handful of new enemies, features and new champion forms, new cut scenes and music tracks and probably a bunch of other stuff Ed McMillen can’t keep track of any more. That should be enough forever, then, but here’s a trailer just in case you’re not clear on what that entails.